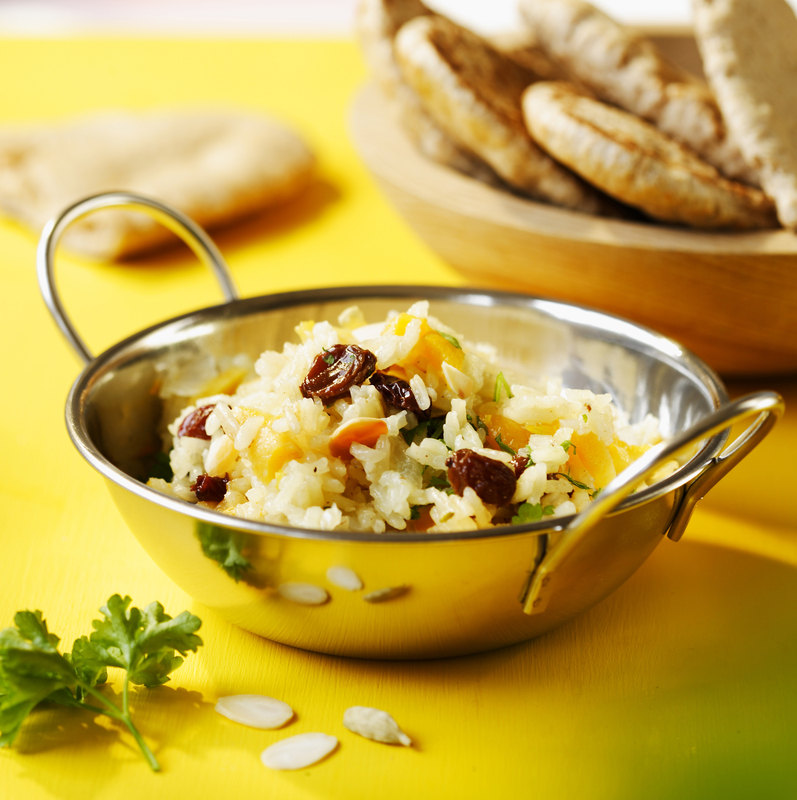 Brighten up your rice dishes with this fruity pilaf. It's so easy to make and will amaze your diners. Cut the apricots into small slivers. Melt the butter in a large nonstick saucepan over a medium heat. Add the onion, rice, cardamom and salt and pepper, and sauté for about 8 minutes or until the rice is toasted. Stir in the stock, raisins, almonds and apricots, and bring to the boil. Reduce the heat to medium-low. Cover and simmer for about 25 minutes or until the stock is completely absorbed. Remove from the heat and leave to stand for 5 minutes. Fluff with a fork, season well, then serve garnished with fresh herbs.